Historical marker #1985 notes the history of the Smoketown community of Jefferson County. 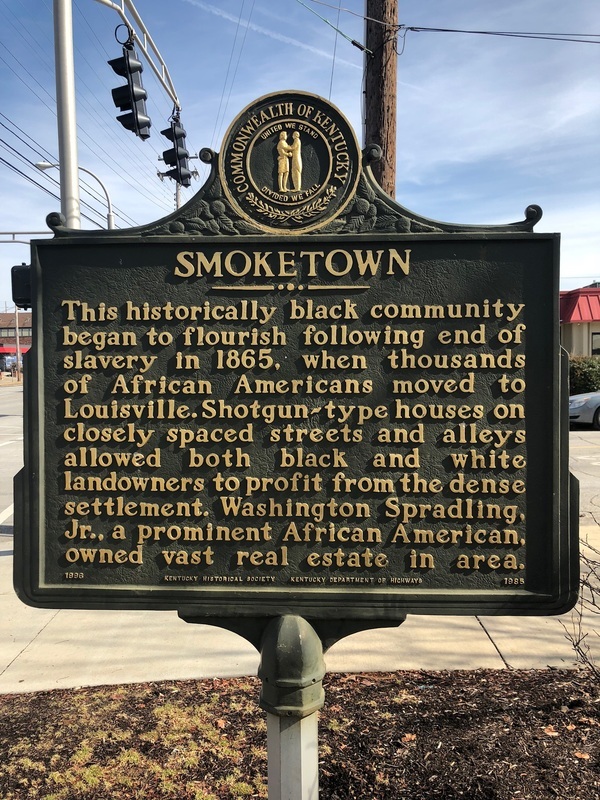 What became known as "Smoketown" in Louisville got its start in the immediate post-Civil War era as thousands of black Kentuckians moved to Louisville in search of greater opportunity after Emancipation. One of the opportunities most cherished and sought after by the formerly enslaved was the chance to own their own home. 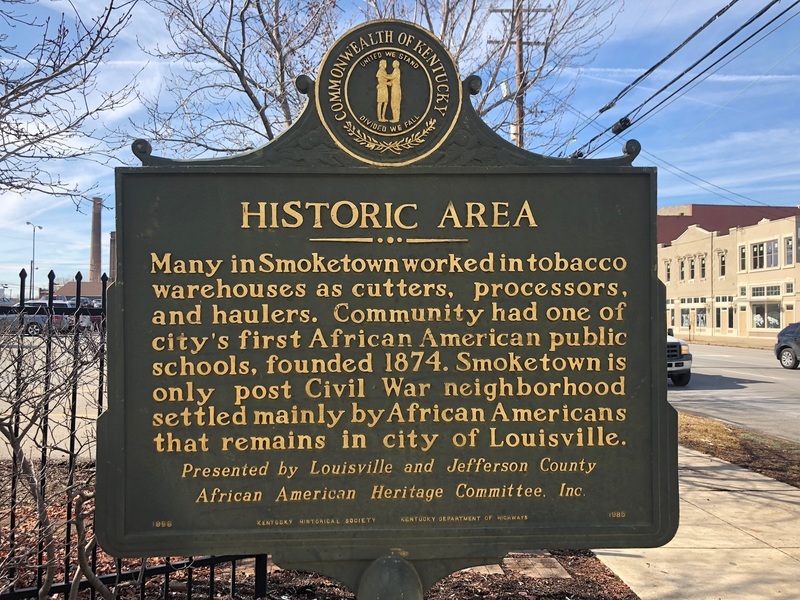 Many early residents of Smoketown were able to achieve this goal, using their income as tobacco cutters, processors, or haulers to purchase houses in the increasingly-dense neighborhood. However, ecomomic fluctuations could upend the precarious credit arrangements that characterized the black real estate market in Louisville and downturns like the Panic of 1873 could put a damper on efforts to purchase a home. Groups like the Louisville Real Estate and Mutual Relief Association, which was formed in 1874, sought to help would-be homeowners, but many black Kentuckians found the obstacles to be insurmountable. Despite these difficulties, Smoketown became a vibrant neighboorhood that remains a part of Louisville to this day. Historic Area - Many in Smoketown worked in tobacco warehouses as cutters, processors, and haulers. Community had one of city's first African American public schools, founded 1874. Smoketown is only post-Civil War neighborhood settled mainly by African Americans that remains in city of Louisville. Presented by Louisville and Jefferson County African American Heritage Committee, Inc. The marker was dedicated on September 7, 1996. Andrew Patrick, “Smoketown,” ExploreKYHistory, accessed April 22, 2019, https://explorekyhistory.ky.gov/items/show/821.